A large Government Biomedical firm was in need of office space for its staff due as the existing building had reached its end of use. 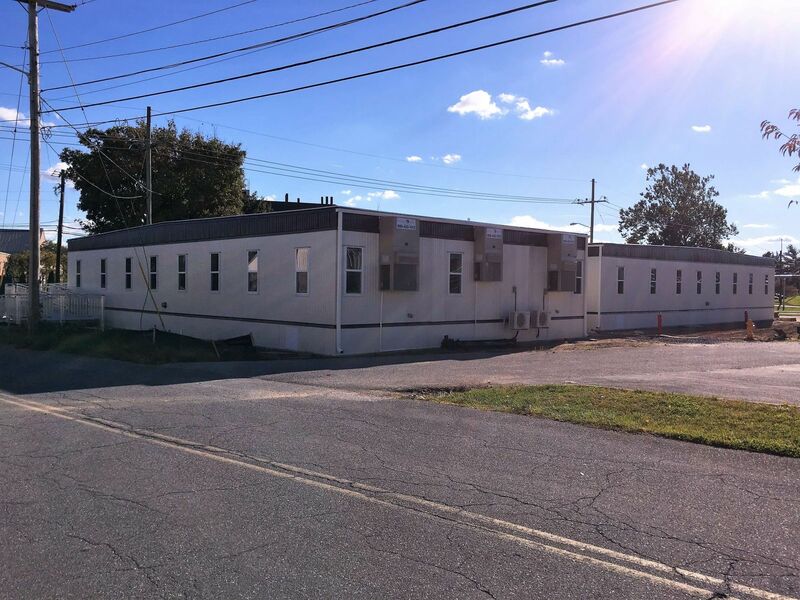 The buildings totaled 6,048 SF and are comprised of (2) 42’ x 72’ Modular complexes. The interior layout of the buildings was determined by the Biomedical firm to maximize efficiency and work flow. The fit and finish of the buildings both interior and exterior were utilitarian by design as the buildings are located on Federal property where durability and function are paramount. The two separate, yet identical buildings were laid out in a ‘T” formation and were connected via a connecting link so that access to the buildings was optimized relative to parking and staff access. 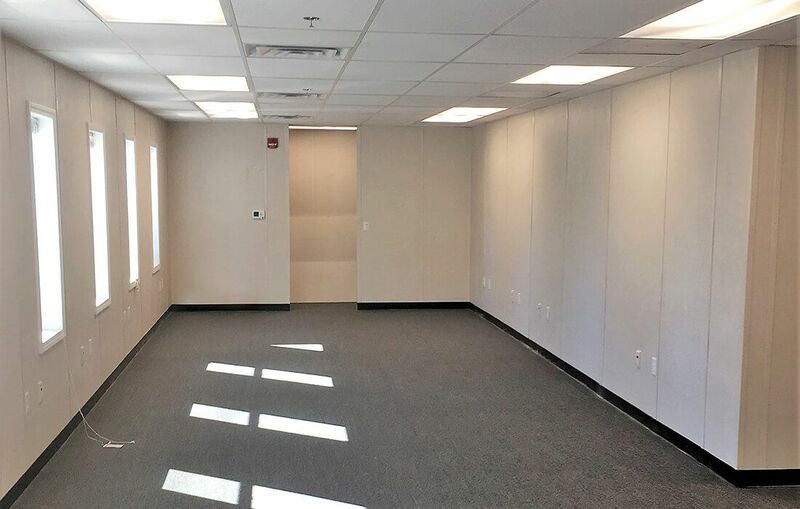 Due to an accelerated schedule demands by the owner, Modular construction was the most logical choice since the overall design of the buildings had already been completed. Once the necessary building component selections were complete, both buildings were built in weeks. This was significant considering that the owner required the business use structures to have some non-industry standard requirements. While not completely uncommon, galvanized duct work, remote temperature sensors are not as typical in a modular office building. Prior and Parallel to building production the site was developed to support the buildings. 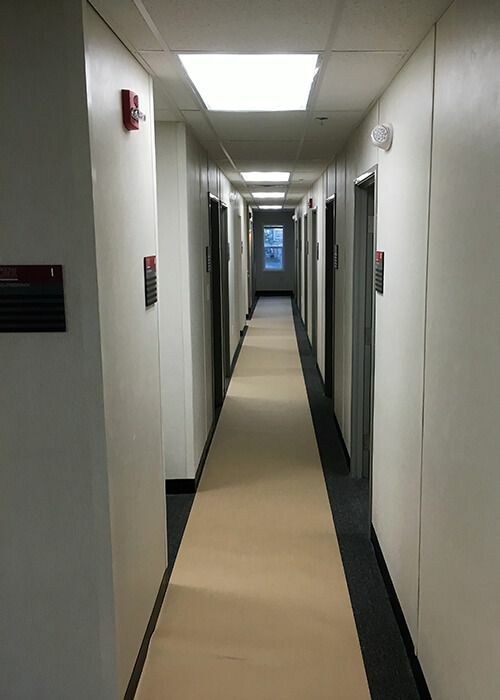 In addition, both buildings had light hazard wet pipe sprinkler systems installed as well as complete fire alarm system that treated both buildings as one structure.